Watermelon seeds: You can eat it too! ~ CK Jacob: Nigerian Fiction And Lifestyle Blog. There is absolutely nothing wrong eating watermelon seeds. You can eat the watermelon seeds as raw, roasted or sprouted. It has no side effects. It is nutritious. It is advised to chew the seeds properly. Do not swallow. 1. Watermelon seeds is good for the hair. It contains adequate amount of protein, which is helpful for your hair health. The seeds contain iron, which helps to strengthen your hair and promoting hair growth. It prevents your hair in making thin, dry and dull. 2. 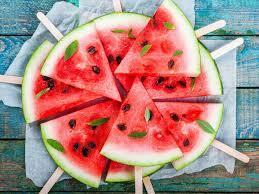 Watermelon seeds will make your skin glow. The unsaturated fatty acids make your skin moisturized. The seeds oil prevents dry, dullness and acne to skin. The presence of fatty acid makes your skin fairer and smooth. The application of its oil on your face is beneficial in treating of acne, blemishes, wrinkles and other skin related problems. The presence of antioxidants ensure smooth skin thereby delaying your aging process. 4. Watermelon seeds is good for diabetes cure. The seeds are effective to certain extent in lowering down sugar level in blood thus helpful to treat Diabetes type 2. To control sugar, one has to take tea of watermelon seeds. Magnesium regulates metabolism of carbohydrate, which directly impact blood sugar level. 5. Watermelon seeds are loaded with many important nutrients. It contains protein, essential fatty acid, vitamins, and minerals. On mineral front, they are having iron, magnesium, potassium, sodium, zinc, copper and manganese. Many important amino acids like arginne, lysine, tryptophan and glumatic acid are present in it. It is also loaded with essential fatty acid such as oleic acid, linoleum acid, etc. On vitamin side, It has vitamin B complex. 6. Watermelon seeds helps the heart. The presence of magnesium in watermelon ensure good functioning of heart, regulate metabolic process and maintain high blood pressure. Eating of these seeds are also beneficial for cardiac function and hypertension. Arginine treat your coronary heart disease also regulate blood pressure. Omega 6 fatty acid reduces blood pressure.